When widow and retired special education teacher, Daisy Arthur, takes up romance writing with a quirky group of aspiring authors, she finds herself tangled in merry mayhem that suddenly turns quite deadly. Then, instead of pursuing her romantic interests, she must go in search of a killer or risk becoming the group’s next victim. Enter Gabe Caerphilly, father of one of her old students and a single, police lieutenant with Littleton Colorado’s finest. Daisy sees Gabe as having definite Mr. Right potential. Unfortunately, Gabe sees her as a prime murder suspect. What’s a woman to do? Readers will enjoy a quick cozy read with this debut novel introducing a pun-loving amateur sleuth who’s looking for clues and romance in all the wrong places. In the middle of the night, widowed and retired special education teacher, Daisy Arthur, goes to the supermarket with her former student, Ginny, Ginny’s boyfriend, Brian and Ginny’s dad, the scrumptious police lieutenant Gabe Caerphilly, only to find Brian’s advocate–murdered. Could the special needs man have killed his friend? Daisy investigates, and enjoys adventures with grocery store mischief, multiple suitors, flabby wordsmithing, and vegetarians who eat ice cream and cookies. 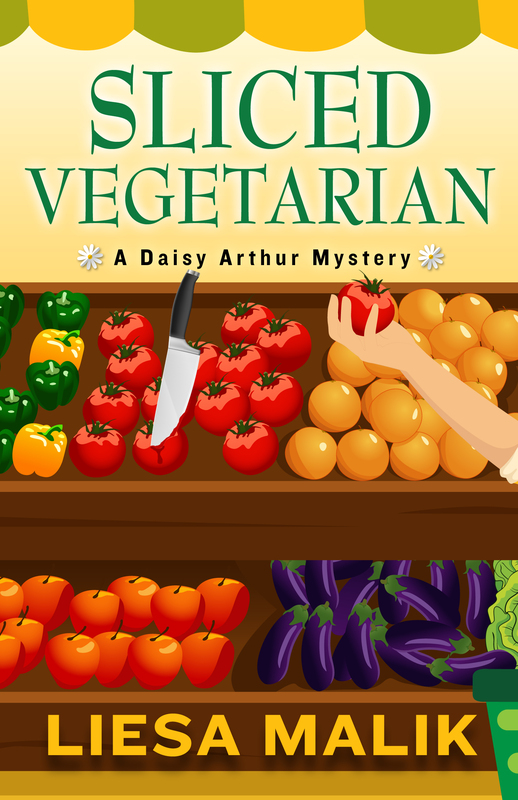 Sliced Vegetarian is the second in Daisy’s cozy mystery series set in Littleton, Colorado. 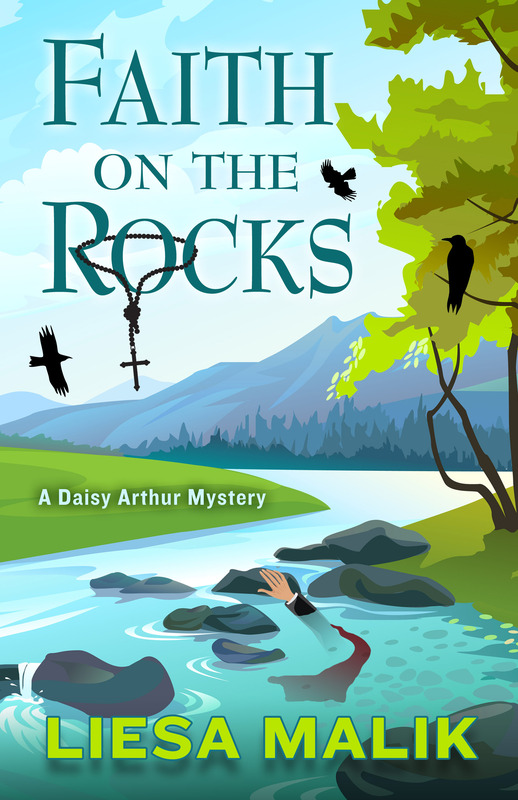 Readers may enjoy revisiting several friends from Faith on the Rocks, as Daisy stumbles through to find out who killed the vegetarian in this tale of too much.